ATLANTIC OCEAN - Sailors secure the wheels of an SH-60B Sea Hawk helicopter assigned to Helicopter Anti-Submarine Squadron Light (HSL) 42 on the flight deck of the guided-missile destroyer USS Winston S. Churchill (DDG 81). 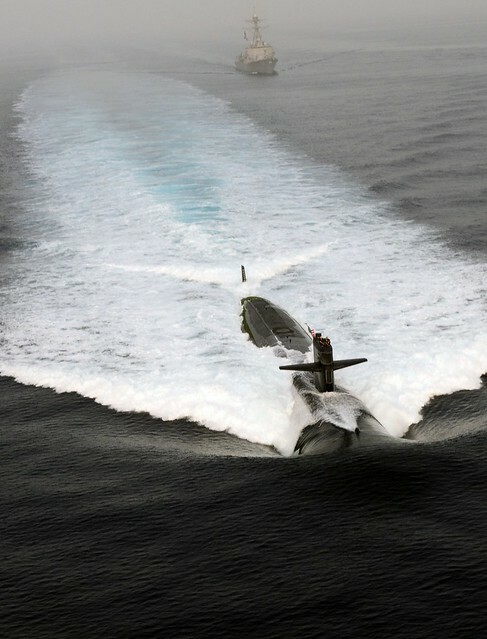 ARABIAN SEA - The Arleigh Burke-class guided-missile destroyer USS Sterett (DDG 104) and the Los Angeles-class attack submarine USS Pittsburgh (SSN 720) transit the Arabian Sea. 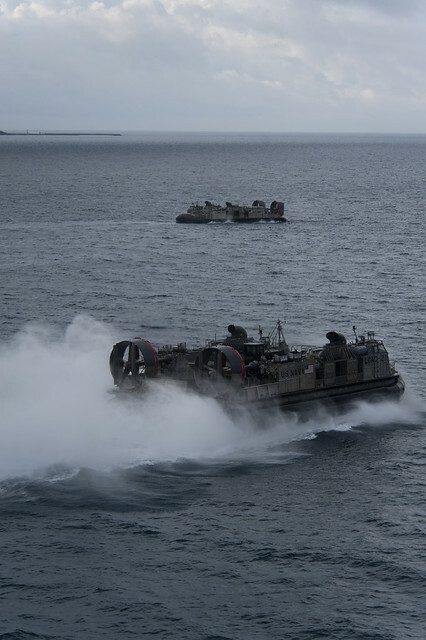 OKINAWA, Japan - Landing Craft, Air Cushion (LCAC) 21 navigates away from the forward-deployed amphibious dock landing ship USS Tortuga (LSD 46) as LCAC 81 waits before approaching the shore. ATLANTIC OCEAN - Sailors secure the wheels of an SH-60B Sea Hawk helicopter assigned to Helicopter Anti-Submarine Squadron Light 42 on the flight deck of the guided-missile destroyer USS Winston S. Churchill (DDG 81). ARABIAN GULF - A MH-60S Sea hawk helicopter from Helicopter Sea Combat Squadron 28 Detachment 5, assigned to fast combat support ship USNS Supply (T-AOE 6), practices helicopter in-flight refueling with guided-missile destroyer USS Milius (DDG 69). PANAMA CITY - Mobile Diving and Salvage Unit (MDSU) 2, Company 2-1, divers and Panamanian divers work on a salvage project during Navy Dive-Southern Partnership Station 2012. YOKOSUKA, Japan - Sailors conduct a firefighting drill on a simulated aircraft aboard the Nimitz-class aircraft carrier USS George Washington (CVN 73) during a general quarters drill. ARABIAN GULF - U.S. Air Force Pararescuemen assigned to the 64th Expeditionary Rescue Squadron, fastrope from a U.S. Air Force HH-60G Pave Hawk helicopter to the deck of guided-missile destroyer USS Milius (DDG 69). ATLANTIC OCEAN - A Sailor directs an F/A-18E Super Hornet from the Pukin Dogs of Strike Fighter Squadron 143 after landing aboard Nimitz-class aircraft carrier USS Dwight D. Eisenhower (CVN 69).